This week we turn our attention to Meursault and, more specifically, one of our favourite domains of this appellation: François Mikulski. 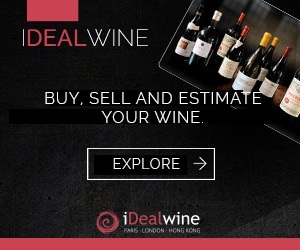 We can’t get enough of the crystalline and pure wines from this domain with their excellent balance and tension. François Mikulski was born in Dijon in 1963. His mother, Thérèse, was originally from Meursault while his father, a NATO officer, was Polish. Due to his father’s work François grew up in Luxembourg and studied at the Ecole Européenne. An avid fan of rugby, he initially wanted to earn a living on the pitch but, after changing his mind, he opted to study viticulture and viniculture instead. It was his uncle Pierre Boillot, a viticulturist in Meursault, that helped François discover his passion for wine. 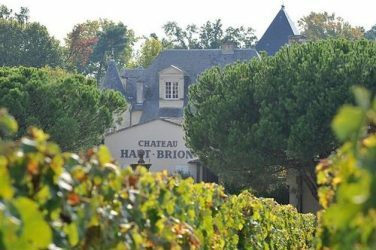 After years of working on his uncle’s domain, François eventually took it over in 1991 with his wife Marie Pierre, herself the daughter of a winemaker (François Germain, owner of Château de Chorey-Les-Beaune). 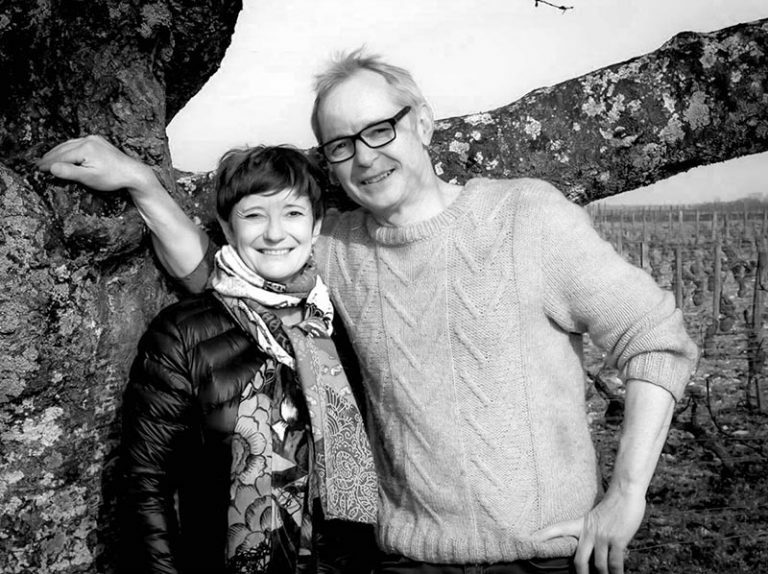 Since 2012, François and Marie Pierre’s children have been working alongside them in preparation for the domain to be passed over to them in coming years. They also run a négociant business on the side to complement their production output. 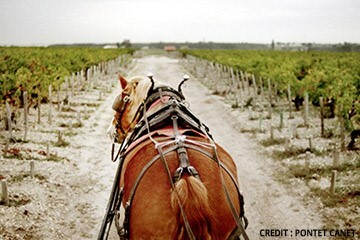 Their 10 hectares of vines are laid out to biodynamic viticulture (without certification). In the Meursault AOC, the plots are situated in the Limozin, Moulin Landin, Meix Chavaux, Pelles Dessus and Chaumes de Narvaux climats. There are also some vines in four Premier Crus: Les Genevrières (Dessus), les Charmes, le Poruzot and les Gouttes d’Or. The domain produces primarily Chardonnay but also Pinot Noir and Aligoté from hundred year old vines. The yields are between 45 and 50hl/ha for the whites and 35hl for the reds. This Bourgogne Blanc shares many similarities with wines from the prestigious Meursault AOC thanks to the plot used to make this wine being situated right on the boundary of this appellation. 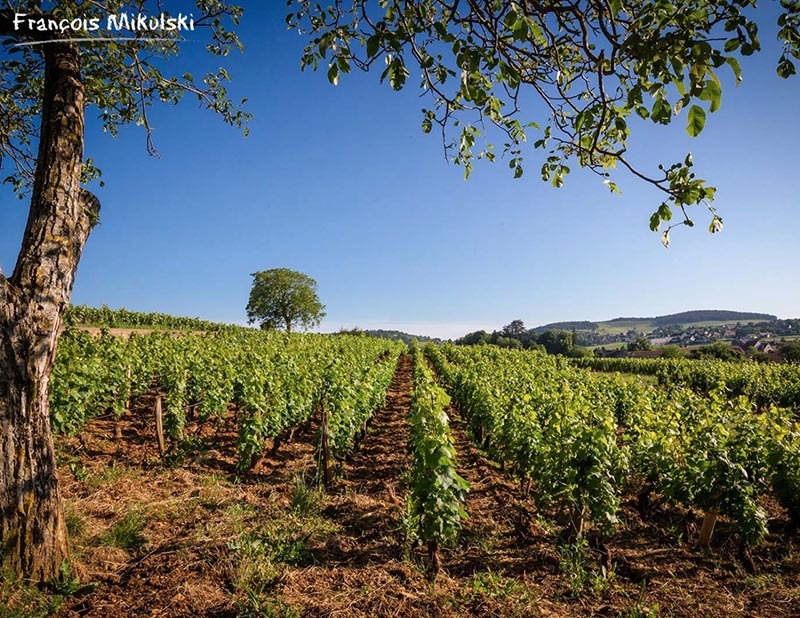 It thus has a similar terroir and benefits from limestone rich subsoil. You’ll find the familiar aromas of hazelnut, almond, white fruits with smoky notes. In the mouth is it is dense and well balanced. This cuvée is made from two plots spanning a total of 1.30 hectares, one of which was planted in 1929 and the other in 1980. Matured in oak for ten months, it boasts aromas of blackberry, cherry, pepper and liquorice. The mouth is straight, precise and well balanced with plenty of fruit. A simple yet well-made wine that would be perfect with grilled meat. A cuvée that is emblematic of the domain, this Meursault Village is everything you’d hope it to be. It is fresh and limpid with aromas of flint and almond. On the finish you will find notes of grapefruit and a great vivacity. From the best Santenots plot “Santenots-du-Mileu”, in Volnay, this Premier Cru is the product of 45 year old vines. It offers intense aromas of red fruit, cherry and smoked meat. The mouth is fresh yet ripe with notes of liquorice, tobacco and chocolate. This wine could be appreciated young but can also be cellared for up to 15 years. The Meursault Premier Cru Poruzots is a prestigious Meursault terroir. Derived from the word “Porroux”, meaning “rocky place”, this element is an integral part of the wine which has plenty of minerality and good tension, not to mention a dense, fleshy and vibrant structure with aromas of exotic fruit. A great wine to cellar. This Meursault Genevrières offers up a beautiful palette of aromas that is a mix of white flowers and white fruit with notes of eucalyptus and smoke. The mouth is fruity and mineral with good length. This would go perfectly with sole or langoustines. 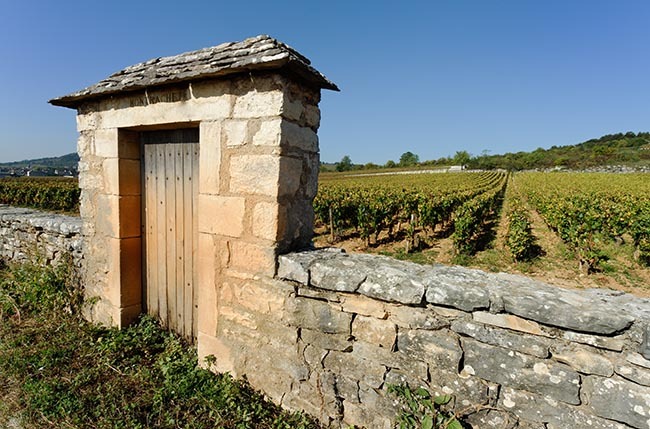 Les Charmes is a climat typical of Meursault situated on silty, limestone rich soil that produces sappy wines. On the nose this cuvée offers lactic aromas as well as floral and lightly spiced notes. The palate is fruit-driven, has good tension and a mineral, peppered finish. This wine would do well to be cellared for four to five years to allow it to reach its full potential. It can be paired with many different types of fish or poultry.